Darlings, today I will teach you a simple trick that gives you the possibility to shorten a piece of clothing, without cutting it. The idea is to use that piece of clothing both ways, depending on your wishes. Welcome to the wonderful world of DIY clothes adjustment! First time I used this trick was when I bought a new pair of snowboard pants, with a perfect length when I had my boots on, but really long when I was taking them of. I was always stumbling and getting them dirty because I kept sweeping the roads with them. So, I had to do something about it, an easy and fast fix. This time, I used it on this grey sweater, because I loved how it looked short and I wanted to wear it more like this, without cutting it. You don’t need much: thread and needles, staples that you can sew, scissors obviously and a ruler. Put your sweater on, decide what’s the perfect length by bending it and measure the part of the sweater that’s left inside. Mark that point with a needle. Get your sweater off and start hand sewing. Sew one of the staple’s side somewhere near the hem of the sweater, on the side stitch of the sweater,pants, etc. Sew the other part or the staple on the side stitch, where you placed that needle, so when you close the 2 sides of the staple, the sweater becomes shorter. Do the same thing on the other side stitch of the sweater and voila, you’re done. Now, wear it as you want, just open or close the staple. 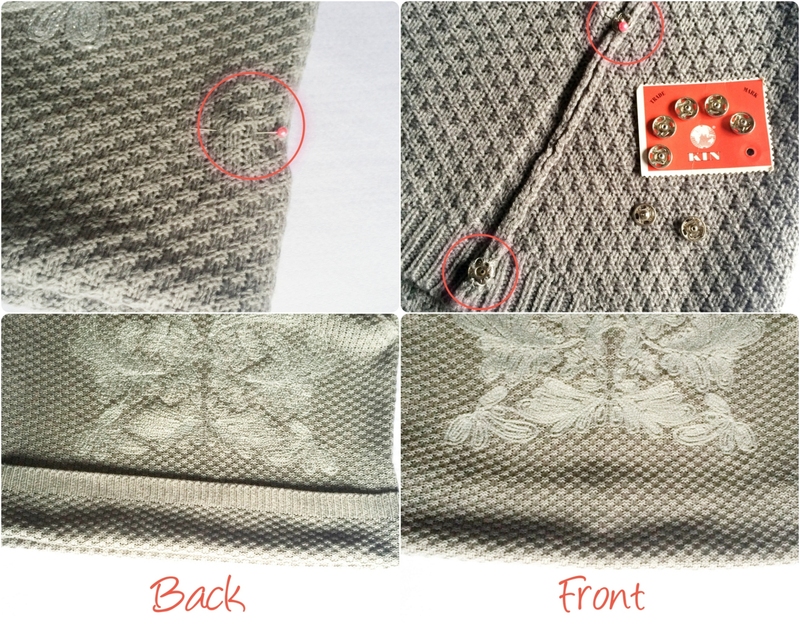 This trick works best on thicker fabrics, with pieces of clothing that are not extremely large. Well, girls, do you think you’ll be using this easy DIY fashion trick? Articolul următorPregnancy – fairytale or nightmare? Part 1.